Our family loves to go to the movies and when we hear about ways to get movie tickets, we jump on it! We also love yummy food that is easy to prepare and budget-friendly! 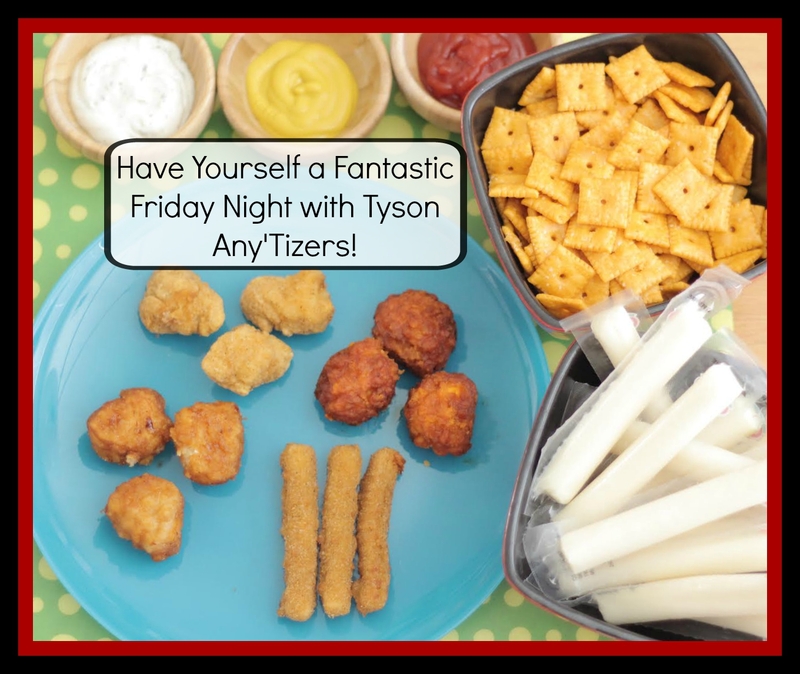 With Tyson® Any’Tizers®, you can both enjoy delicious food at a budget-friendly price AND get movie tickets to see the upcoming movie, “Fantastic Four!” In celebration of the upcoming movie, we decided to have a Fantastic Friday Night and create a Tyson® Any’Tizers® Snack Bar for our kids. 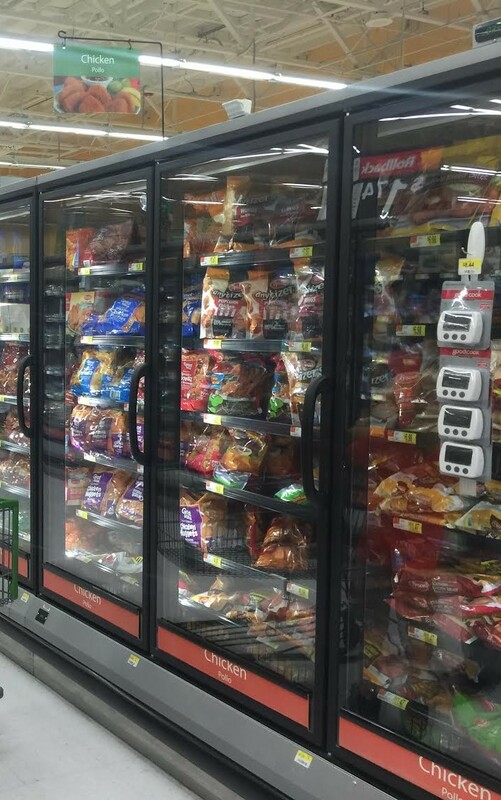 We headed to Walmart to pick up a variety of flavors of the Tyson® Any’Tizers®. We found them in the freezer section. They all sounded so delicious! We decided to pick up four different varieties – Chicken Fries, Buffalo Boneless Wyngz, Popcorn Chicken and Honey BBQ Boneless Wyngz. Our kids couldn’t wait to eat them when we got home! Heating up the Tyson® Any’Tizers® is super easy and quick. You can prepare them either the microwave or the oven (I personally prefer them heated up in the oven). We like to include in our snack bar different varieties of the Tyson Any’Tizers, different dipping sauces (ketchup, mustard, ranch, barbecue sauce), crackers or chips and string cheese. The kids loved having a Snack Bar to go through and fill up their plates with exactly what they wanted! 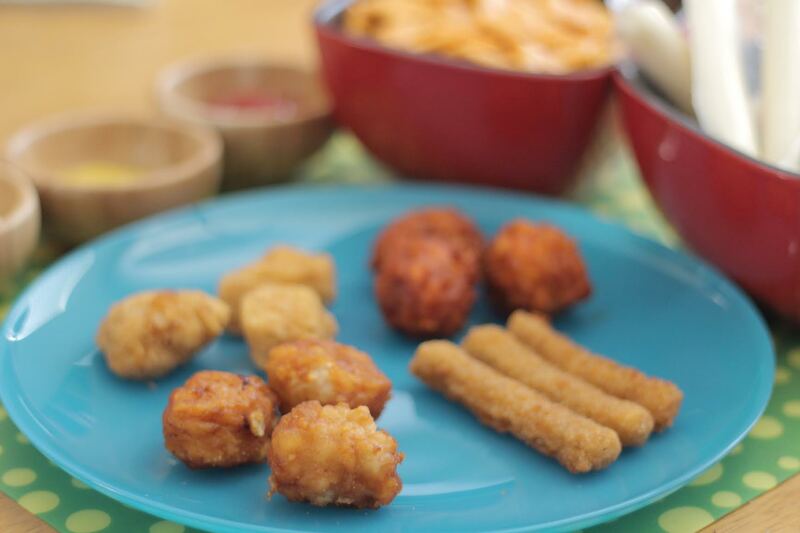 We as parents like the Tyson® Any’Tizers® because they’re packed with protein and made with all white meat chicken (not low-quality like other warm, frozen snacks). So, it’s a win for everyone! 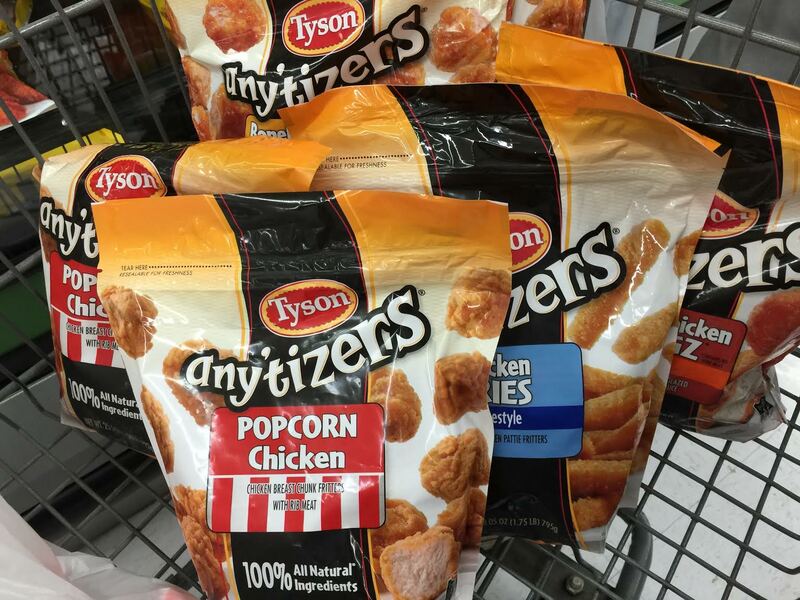 1 – Heat up a variety of Tyson® Any’Tizers®. 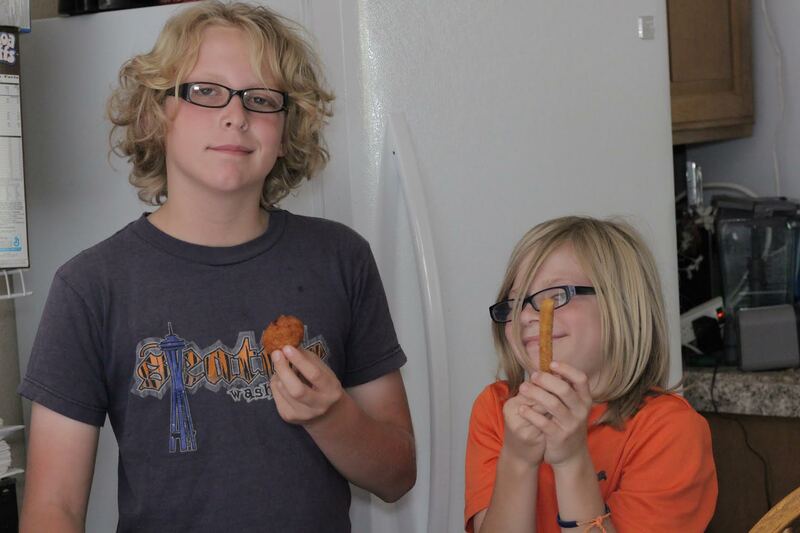 If you have kids like us, you’ll understand different kids wanting different things to eat. This is a great way to satisfy everyone’s taste buds. Keep heated up Tyson® Any’Tizers® warm by wrapping them in foil while the other varieties are heating. Be sure to look at the packages, because some have different temperatures and cooking times than others. 2 – Offer a variety of dipping sauces. Our kids love different sauces. Some like ketchup, while others like BBQ Sauce. We like to offer at least three or four varieties of the dipping sauces. Put out small bowls the kids can fill up with the sauces. They love having their own little bowl of sauce to dip in. 3 – Offer a variety of drinks. In our family, some kids like chocolate milk, while others like juice or water. With a variety of drinks, the kids will love your snack bar even more! 4 – Offer a variety of snacks. A great way to complete your snack bar experience is by adding I’m crackers, cheese sticks, salads, rolls and more. As I mentioned earlier, you can get movie tickets with your purchase from Tyson® Any’Tizers®. Doing this is easy and this offer is only available at Walmart! Step 2: Snap – Snap a picture of your receipt and text or email it to tyson@drvsusa.com by 11:59 pm PST on 8/15/15. Step 3: Get – Receive a code redeemable for a movie ticket to see FANTASTIC FOUR while in theaters. Code must be redeemed by 9/30/15 on tysonmovieoffer.com. Are you excited to see the new FANTASTIC FOUR movie? Let us know your favorite character, and don’t forget to buy two (2) bags of Tyson® AnyʼTizers® snacks at Walmart to get your ticket.